It was a rainy day when we got to Asheville. Having only a few days in town, Tina and I had to push ourselves to explore as much of the city. Why? Well, because everyone said it was such fun. From the moment we stepped downtown, we immediately fell in love with Asheville. Unfortunately, the rain wouldn’t let up on our first day. 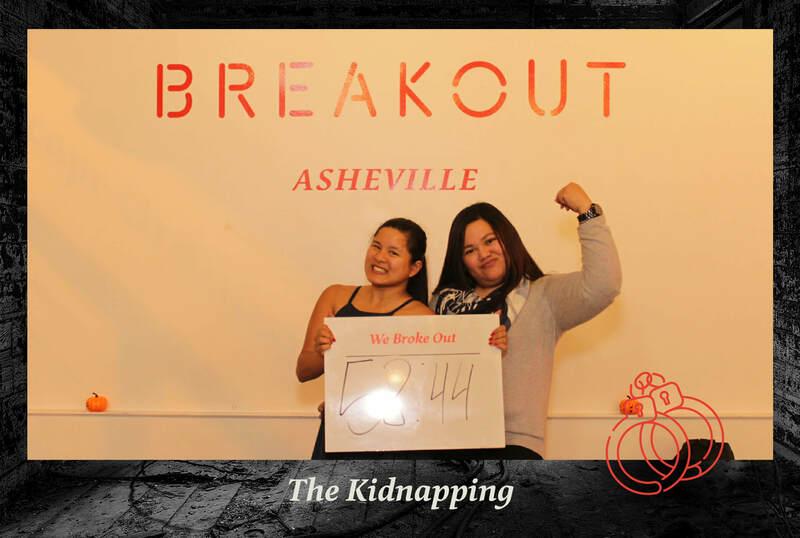 But luckily, that’s when we bumped into Breakout Asheville. Reviewed as the no. 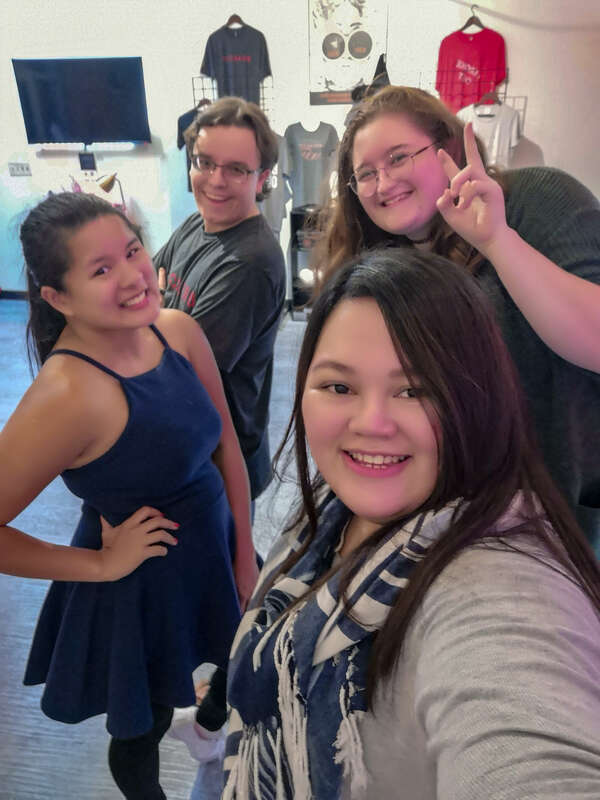 1 Asheville Escape Room, we decided to get competitive and booked two games! 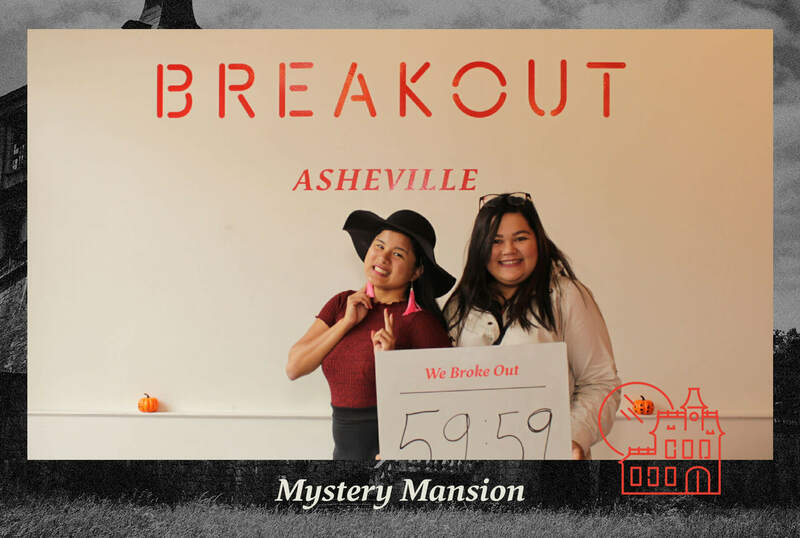 Our Escape Room Addiction Continues in Breakout Asheville! Tina and I have recently been addicted to Escape room games. We’ve played a few rooms in Lost Philippines and Lost Hong Kong. I have also tried it in Bangkok with Ticket to Mystery. We both had this look of should we, and of course, we should. And we did! Victory! Got out just in time from Kidnapping! We walked in and we were lucky that there was a game available for us to play. 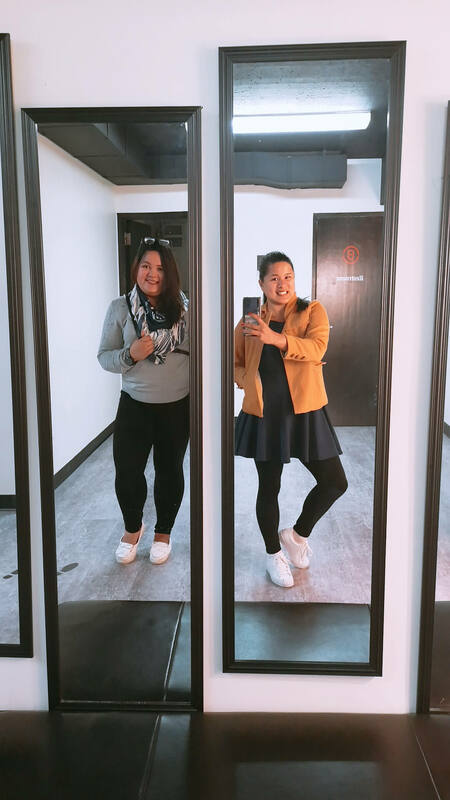 Tina and I have built escape rooms strategies which we’ve talked about in our Lost Philippines post. We were initially hesitant cause we were only two. And often, it would just be easier if we were 4 or something. More brains to solve the clues but whatever, we still gave it a shot. 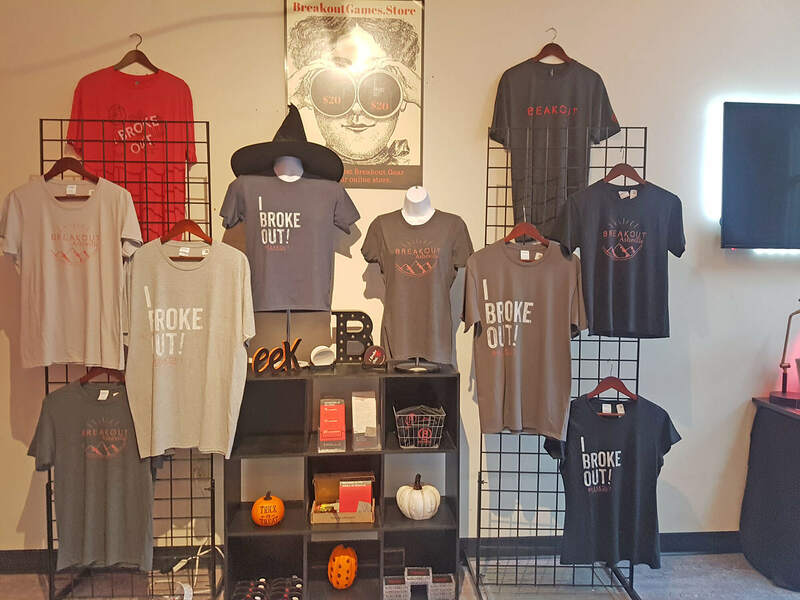 Breakout Asheville offers a total of 5 equally thrilling and mind bending escape rooms. Each room has a different story line and participants are given 60 minutes to answer puzzles, crack codes, and follow clues in order to escape. And yet again from the Mystery Mansion! This goosebumps-inducing adventure is set in the ruins of an old mansion abandoned for many years. However, rumors has it that the old owners of the mansion are still looming around the area. You and your friends need to work together to uncover the secrets of the mansion and find your way out before the time runs out. In museum heist, you and your team plays the role of former art thieves who are hired to find the stolen cache of rare art collection. You break out into the thief’s house and follow clues to find the stolen collection and return it to the museum where it belongs. You and your friends wake up in a strange room handcuffed and blindfolded. You need to brainstorm on how to find and solve the clues that would free all of you before your kidnapper returns. This thrilling adventure will surely keep your heart pumping and blood rushing from beginning to end. This is where you can live your James Bond dreams. You get to play as a secret agent to find clues to discover the identity of a missing agent and eventually take down the syndicate that took him. This nightmarish plot starts with your flight getting hijacked, getting kidnapped and taken to the hijackers’ headquarters. Trapped and handcuffed together, you and your friends need to find a way to remove your handcuffs and escape. Broke out from Breakout Games Asheville? You get to spin the wheel for prizes! The game that was readily available for us was Kidnapping. It was quite cool, we were literally bound at some point (good effects, a little terrifying actually TBH). But we wont spoil the fun for you so you have to go and experience it. We first tried The Kidnapping and we were able to escape. With the help of the Breakout Games staff, of course. We loved the fact that they closely monitor our progress the whole time via CCTV. Making hint requests much easier, compared to others. Tina and I had so much fun and we enjoyed The Kidnapping room so much that we booked another game the next day. Tip: Sometimes it pays to not overthink. Best to be really observant and to work together. The next day, we went back to try the Museum Heist. Although much more challenging physically, it was extremely fun. Solving all the mystery and the thrill of beating the clock is so addicting. Seriously, we would play all the other escape rooms if only possible – that’s how addicting it was. 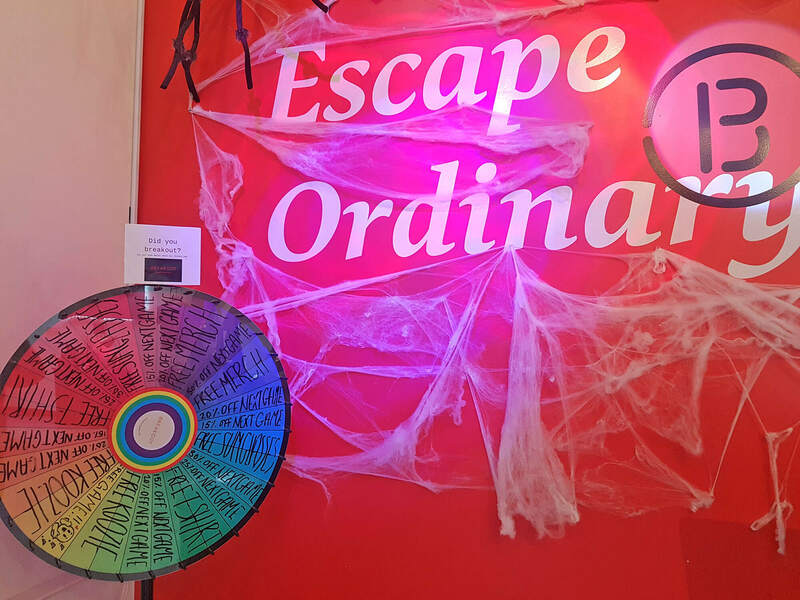 As a bonus for escaping any room, you get to spin their prize wheel. Giving you the chance to win exciting prizes. From discounts, cool merchandise, and even free games! We got sunglasses on one lucky spin! Check out all the cool merch they have for prizes! You can book through their website at breakoutgames.com/asheville. You can also check promotions, updates and discounts via their website. Price for each escape room ranges from $ 19.99-29.99 per person, depending on the size of your group. 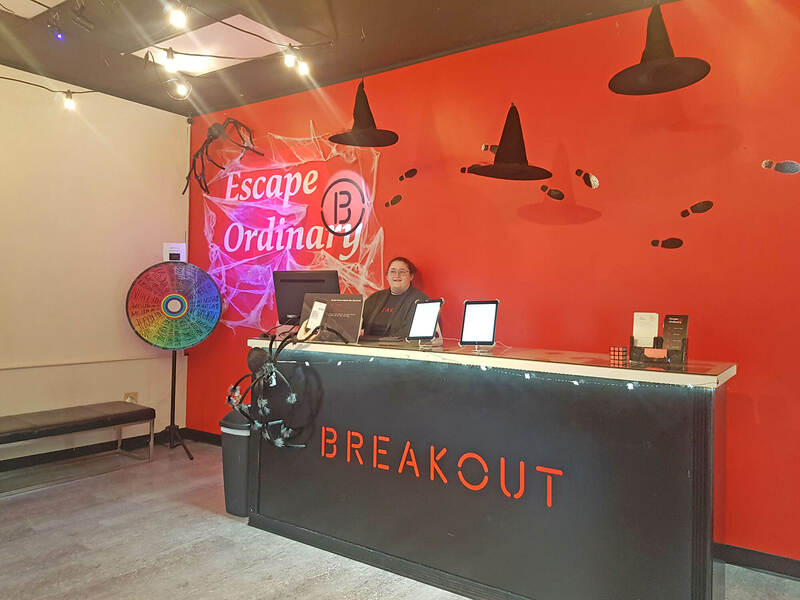 Discounted rates are also offered for larger groups who want to try 2 or more escape rooms.